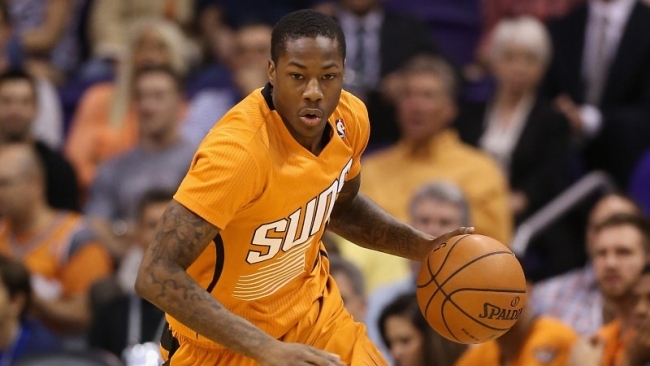 The Phoenix Suns made some surprising news on the eve of the NBA season by releasing former 2013 1st round pick Archie Goodwin. The 22-year-old combo guard averaged six points, two rebounds and an assist in three seasons in Phoenix and was set to enter restricted free agency this summer as his rookie deal is expiring. Goodwin showed a great deal of class thanking the organization for giving him a chance Monday afternoon. This means veteran journeyman John Jenkins and undrafted rookie forward and freak athlete Derrick Jones Jr. should have a good chance to make the roster unless the Suns have their eye of a free agent on the market. Goodwin was never able to make the most of his opportunities in Phoenix and was buried on the depth chart behind Eric Bledsoe, Devin Booker, Brandon Knight, Leandro Barbosa and Tyler Ulis. It will be interesting to see if Goodwin lands on his feet in the NBA this season, I feel like he will.